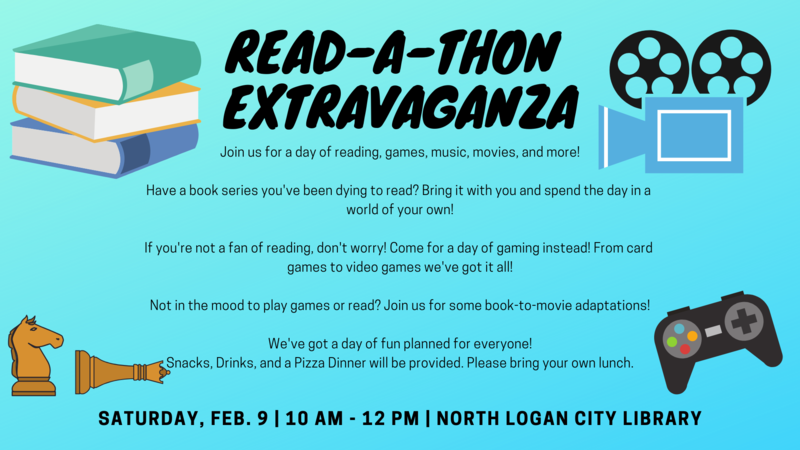 Join us for a day of reading, games, music, movies, and more! Have a book series you've been dying to read? Bring it with you and spend the day in a world of your own! If you're not a fan of reading, don't worry! Come for a day of gaming instead! From card games to video games we've got it all! Not in the mood to play games or read? Join us for some book-to-movie adaptations! We've got a day of fun planned for everyone! Prizes will be awarded depending on how many hours you read during the event!